My name is Timothy Adams. I’m a lifelong 4th generation resident of Montana who grew up in Seeley Lake. This is my public statement of my promise to promote the core values of the Green Part Platform through my candidacy for U.S. Senate and if elected, service in Congress. I promise to faithfully promote the Green value of ecological stewardship. Growing up in a timber town in Western Montana, I know full well the value of having accessible forests as the centerpiece of a community. I support the Green platform which states that humans are part of nature, not separate from it and that we must maintain an ecological balance within the resource limits of our communities and our planet. I will support policies which move towards more sustainable energy usage and agriculture. I promise to faithfully promote the Green value of non-violence and promotion of peace. We live in a nation committed to freedom, yet we imperialistically build over 800 military bases in 70 countries. Our military and foreign policy has become intimately entangled with the corporate military industrial complex, and we can now be surveilled secretly by our own government. The costs of perpetual war have been paid on the backs of the poor at home and abroad, and those veterans who dutifully fought for our country’s leaders have been failed at home with poor standards of healthcare. I promise to faithfully promote the Green value of promoting social justice and the general welfare and quality of life of all people. I support public policy that seeks to promote equality of opportunity for all people regardless of race, ethnicity, class, gender, sexual orientation, age, nationality, religion or physical or mental disability. I will work to bring back the American Dream, where any person can live, work, raise a family and be a productive member of their community without having to pay unreasonable amounts of their income to basic living necessities. I support private sector unionization to provide a check on those who may seek to exploit labor, and government efforts to provide needed social safety nets for the poor and needy. I will promote any and all methods necessary to increase transparency of the political process, and eliminate corporate influence over our leaders, government and laws. I promise to faithfully promote the Green value of engaged democracy and decentralization of power to let citizens have more local impact in their neighborhoods and communities. Our country was founded on the principle of stripping power away from a small powerful few in far off capitals which disregarded their citizens pleas for fair representation. I will fearlessly fight corporate, government, media and partisan consolidation of power and decision-making away from the people, and will call for renewed efforts to promote antitrust regulation against corporate monopolies and the return of the airwaves to the people from corporate profiteering and information control schemes. Recently, corporately controlled media have sought to frame my campaign in a negative light based exclusively on cherry-picked past involvements. As many Montanans agree, no one’s beliefs about the world, nor do any persons fit neatly into any prescribed box or label. Montanans have a long history of voting for issues and people before parties. Ideological and partisan rigidity is one of the many reasons we have such a dysfunctional system of government in modern times. I have worked extensively and supported efforts to stop imperialistic foreign policy and marijuana prohibition through the Libertarian party. I have supported efforts to allow more choice and less corporate influence in healthcare through the Republican party. I have donated to and voted for Democrats to support less militarization, corporate influence and the expansion of representation of LGBT persons, women and people of color in state and national government. I have worked extensively with LGBT organizations including leading QSA MSU for several years, the LGBTIQQAA+ organization at Montana State, and have served as a fundraiser and Board member for organizations like QSA, AIDS Outreach, the Western Montana Gay and Lesbian Community Center and the Imperial Sovereign Court of the State of Montana. If the corporately controlled, partisan-aligned media wish to put a label on me, it speaks volumes more to their agenda and out-of-touch outlook on Montanans than anything about myself or my character or beliefs. I hope that Green party primary voters and party members will reserve judgment until getting to know their candidates. As I talk to more and more Green party members it becomes clear that the same machine seeking to discredit our grassroots movement would rather people of all political stripes merely get in line and do as they’re told. We will not. We will continue to fight for the values of the Green party and exercise our duty to be involved citizens of local, state and national government. I humbly ask for your vote and look forward to an engaged primary process. I like the Green Party. The first ever vote I cast for president was for a Green Party candidate, Ralph Nader in 2000. Since then we’ve seen two-never-ending wars start up. These wars don’t benefit the American people at all. On top of this, our environment is terrible, with never-ending-summer forest fires, which we can probably trace back to global warming. Global warming itself is coming about through the insatiable greed of our global corporations, as well as our inability to stop buying their products and services. Politics in this country is rotten, with two carbon-copy political parties constantly going for each other’s jugular while doing little to help the common workers that actually keep this country running. There’s so much money in politics that our system has become corrupt. This is no longer an issue. Democrats and Republicans rarely talk about these issues, mainly because they’re too busy raising money from rich out-of-staters. I wish this would stop, but it never will until we get money out of politics. These are some of the reasons I’m running as a Green in Montana. Face it, we have been ‘buffaloed.’ Our faith in America’s leaders and information has been shaken us to the core. America’s institutions and conventions have now been proven to be unworthy of that faith. This is reflected in the 50% of voters who stayed home in 2016. So-called ‘official media outlets’ have all been shown to be highly partisan propaganda machines. We’ve also been ‘gaslighted.’ A majority of our brothers and sisters feel that they have been cast aside, set adrift, not knowing who, or what, to believe. The Green Party and its candidates must speak clearly and truthfully, wherever it leads us. The most effective way to restore sanity and any sense of trust in government will require that we establish and maintain a powerful, national grassroots movement. We must teach, and learn, and repeat this simple process, leaving no one behind. Each one of us chooses the kind of society in which we want to live by our action(s). We must be that change – leading by example – which we seek. 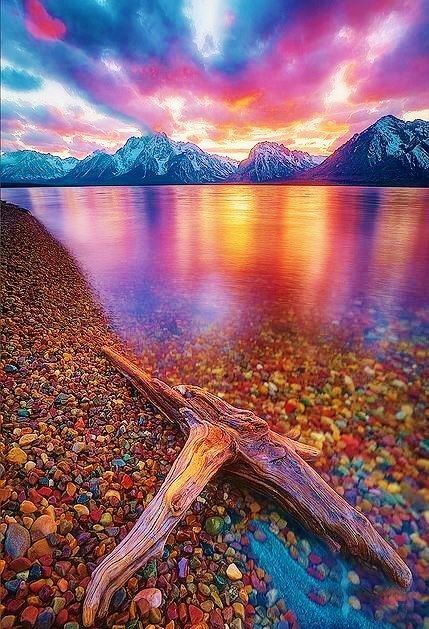 We are part of all that exists (nature). Our job is to protect the perfect the oneness of all life and love, respect and honor the source of all life. Forests are created from this same source. Like forests, neither are we ‘re-sources’ (property) for corporate profit. Water is essential to all lifeforms. Fish and wildlife habitat cannot be valued in money or all will eventually perish. Management is a fiction of man’s creation (words lacking substance) and by design functions in opposition to nature, in mammon. Man’s love of money is the root cause of nature’s destruction. Nature persisted without man’s interference for millennia and will endure in perpetuity, with or without man, if we continue to worship the laws of man (money) over the laws of nature. We shall petition our government to honor its constitutional commitments to equal treatment under the (man-made) law. We, however, must do so with a true understanding of what our government is, how and why it was created, and what limitations that creates for man (female and male), simply trying to live life with dignity, free of discrimination by status, class, race, color, creed or any other “divide and conquer” tactic employed by the state, church, corporation or other agents under state control. Perhaps if Americans had suffered the direct consequences of war within our borders, we might be more empathetic with those who have suffered our militarily- imposed brand of American ‘democracy’ (Empire). This must change. We must state clearly that we do not consent to the violence our country brings to other countries and upon its own. This violence is not just felt by our brothers and sisters, but by all living beings in Nature. Our actions, in steadfast opposition, must be carried out with love, without intended mental, physical or spiritual harm to our opponents. 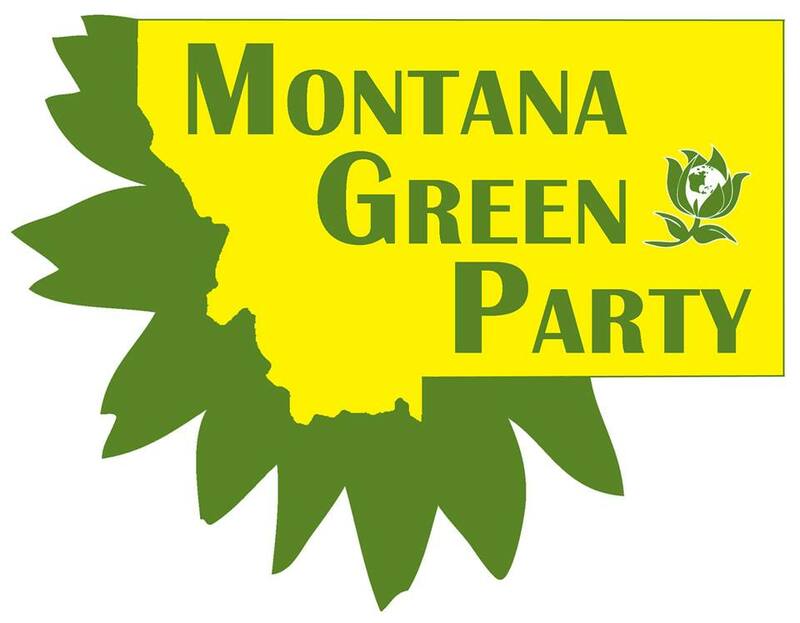 Again I express my appreciation to the Green Party of Montana for their support and sponsorship, and I look forward to hearing and representing the viewpoints of _all_ Montanans. Humble Greetings, my name is Adrien Owen Wagner, and I am a candidate for the Montana State House of Representatives for the 2018 election cycle. For the purposes of my personal philosophies, I have chosen to run as a member of the Green Party. I write this letter first and foremost to state my political ideology, and why I believe this aligns closest to the platform promoted by the Green Party. I support a political system which focuses objectively on the state of planetary health, and actively develop the earth in a harmonious and sustainable fashion. As far as we are aware, there is no other Earth. This is it… and we are already sowing a path of destruction. In prokaryotic life, development of a colony follows the path of Log (rapid growth), Lag (stagnation), and Death (starvation). It is our duty as humanity to alter this course to one which transforms stagnation into progress. The fate of our planet and as a consequence, our nation, is about the empowerment of young people, whom we borrow the future from. This campaign is about the promotion the 10 Key Values and 4 Pillars. I commit to a platform promoting Grassroots Democracy, Social Justice, Ecological Sustainability, Economic Justice & Sustainability, and that as a candidate (and/or legislator) my behavior will respect and adhere to this platform. I also vow in this campaign to reject corporate and establishment tied money, and will rely solely on individual donations and contributions. “The Montana Green Party shares the concerns of those who have raised questions regarding the legitimacy of the candidates that have filed to run on our ticket. Ensuring that our candidates represent not only our party, but also the citizens of Montana, in a way that reflects Green values is of the utmost importance to the future of Green politics in Montana. We are however an inclusive grassroots movement and as such denouncing a candidate is something we do not take lightly. We feel it is our responsibility to make sure we have as complete an understanding as possible regarding the actions and motives of each individual before we come to a conclusion regarding their intentions in running in this, or any other, race. As such, we have requested that each candidate issue a written statement committing to the Green Party’s values and declaring their intention to conduct themselves in a manner that reflects this. In addition to this statement we also asked Mr. Gibney to apologize for, and denounce, the statement he made during an anti immigration rally in February of 2016. I spoke with Mr. Gibney last night when he called me in response to the email in which we made this request. Unfortunately, he has refused to adhere to this request, but rather defended his remarks. For this reason Party officials have determined that we must denounce this fraudulent candidate along with his bigoted actions and remarks. I’d like to take a moment to address the concerns that have been raised regarding several of the candidates that have filed to run on the Green Party ticket in this election cycle. In Montana we do not register with parties and as such the parties have no control over who files to run on their tickets. Furthermore, it’s important to remember the Green Party believes in grassroots democracy and the right, make that the responsibility, of every citizen to take part in their governing. This being said, the Montana Green Party will be not be endorsing any candidate until they publicly commit to the party platform. Neither will we, however, jump to the assumption that the are not true Green Party supporters until they have had the opportunity to show us otherwise. We hope you all will do the same. Greetings Montana Greens! I’m pleased to announce that we have succeeded in our efforts to secure ballot access for the 2018 and 2020 election cycles!! So any of you beautiful people who would like the opportunity to make real change in our state have a spot on the ballot!! WE NEED YOU TO RUN!! CANDIDATE REGISTRATION MUST BE SUBMITTED BY THE END OF DAY TODAY!!! Greetings family! Come join us for the weekly meetings of your Missoula Greens. This will be an informal chat about the future of our movement. Topics will include an update on our petitioning efforts, the 2018 election season, and hopes for our movement moving forward. Bring the kids along, a snack to share, or just bring your smiling face!! Hope to see you all there; your voices are SO important! However, if you can’t make it this week don’t worry, we’ll catch you up next week! Health care is in the news again as the costs have continued to rise unabated and Republicans threatened to repeal the ACA. Neither of the two political parties in power will advance a single-payer universal health care plan, for the simple reason that insurance companies, and pharmaceutical companies, and others who profit from our pain donate big dollars to their campaign funds. Isn’t it time we demand better? It is possible and the details are right here. The Montana Green Party supports single-payer universal healthcare. Please join us and let’s get this done.